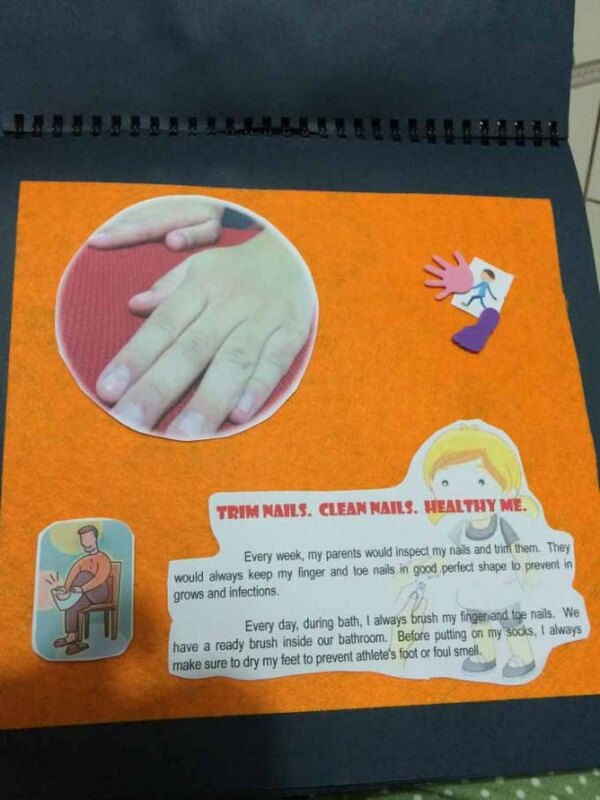 My grade three son’s science book illustrates the importance of personal hygiene to one’s health. As a mother, I appreciate these lessons supporting my constant reminder re brushing of teeth, washing of face, scrubbing of elbow, etc. 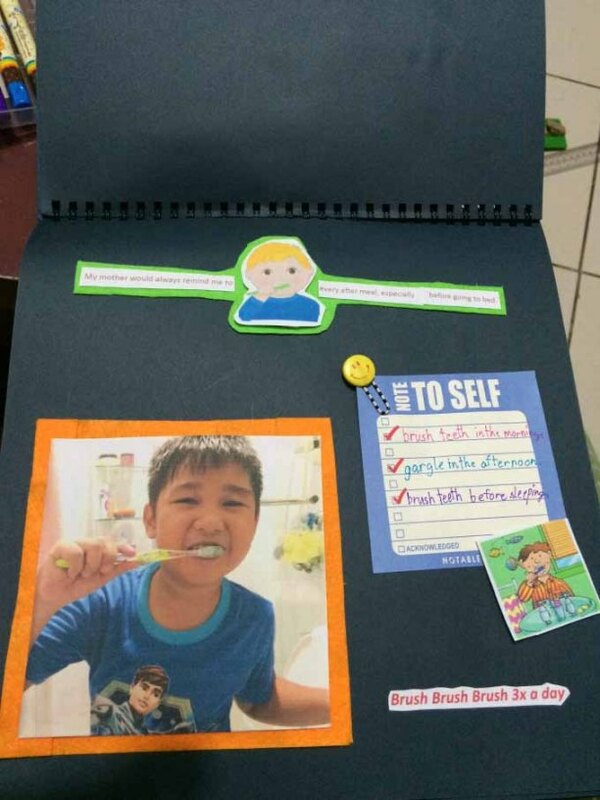 I often tell my boys that not giving much importance on personal hygiene may cause problems like bad breath, dandruff, pimples, etc. 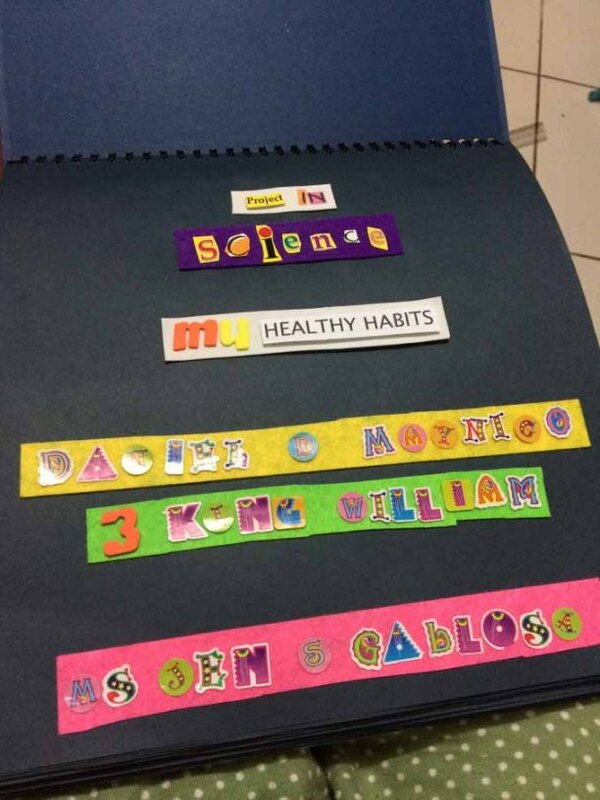 I am all the more grateful to my boy’s science teacher for coming up with an idea of creating a scrapbook on healthy habits. 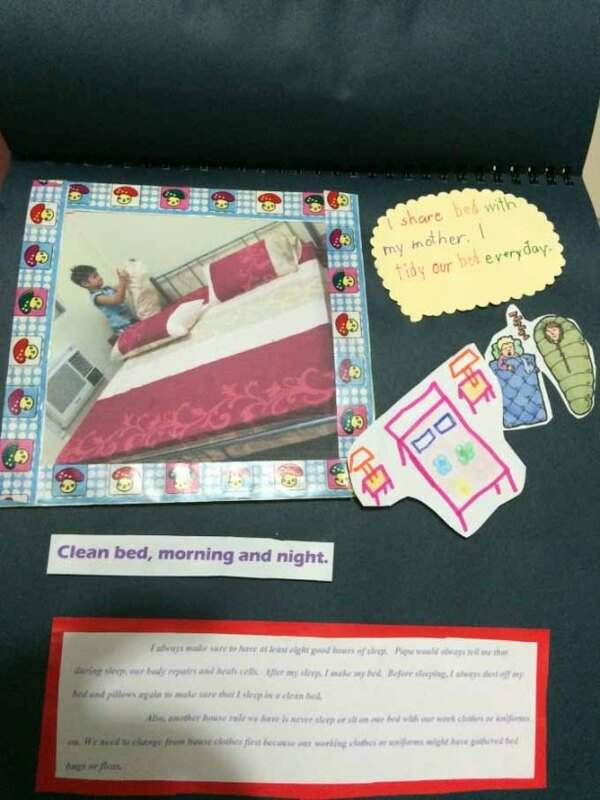 Again, more than this mother benefiting from this project, it would be Bunso’s gain. Last weekend, we had a photo shoot. Bunso went through his usual daily habits and I took some photos. I asked him to describe each, took turns in typing and printed them after. His title page. Some cut-out letters from magazines, some are from a sticker book we had ages ago. A short intro. 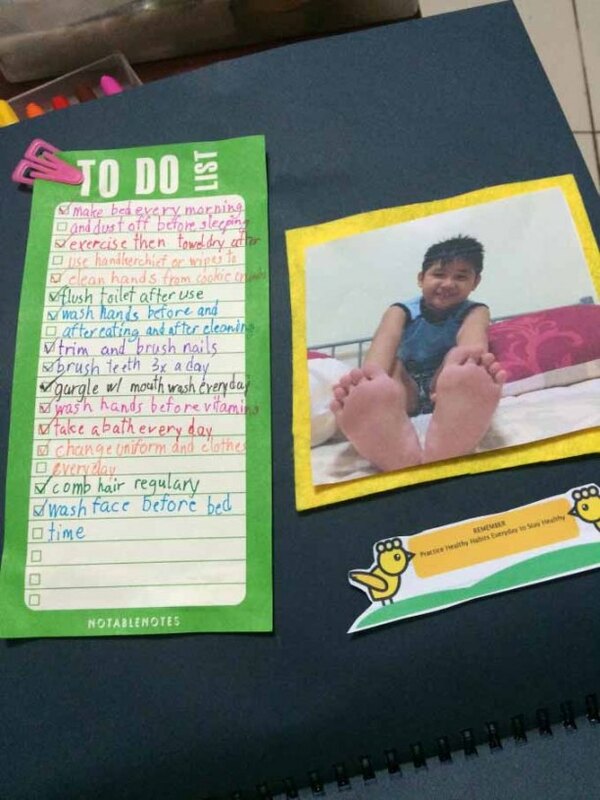 It was bunso’s idea to make use of images and not mere words alone. My boy’s drawing of our bed. and yes, we share the bed together. Sea of gray no more. Good thing a friend gave me craft scissors before when she learned that I am always on the lookout for items I could use for my kids’ school projects. My eight-year-old boy’s drawing of himself while watching a flick at home or inside a movie house. I may say that my boy truly enjoyed our photo shoot. I need not direct him of his actions as he knew very well what to do. He even gave me a thumbs up here. 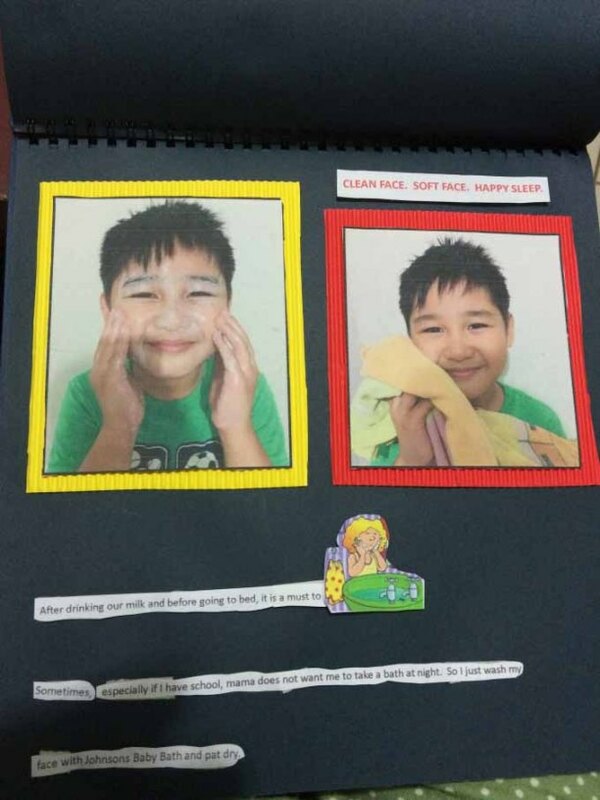 My boy’s step-by-step guide to hand washing. 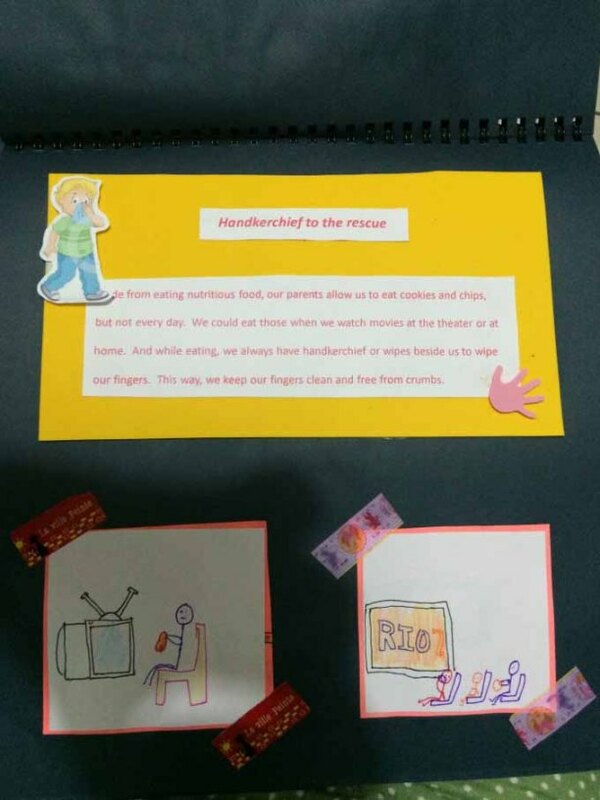 * (October 2014) I compiled and will share some of the school projects made by my boys in order to help other students with their research. It has always been this momi’s intention to offer help the best way she can. 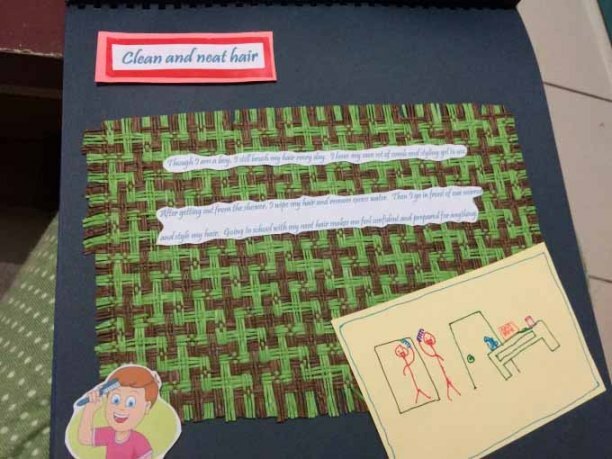 I give you A for effort and being able to turn lessons (personal hygiene) into a fun activity. 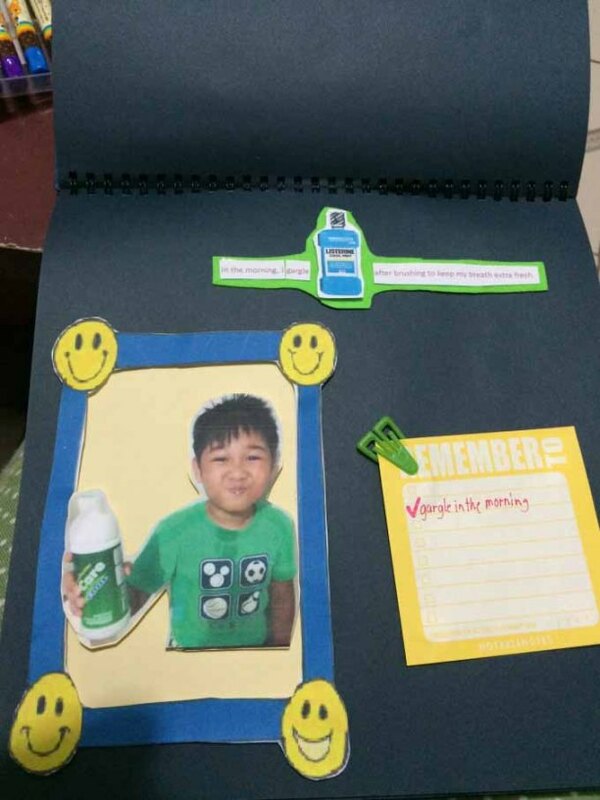 Sure, it is a great way for kids to learn, mas na reinforce kasi. Imagine no, if you do this for other activities like nutrition, smart spending. Now when it comes to finances, NOW is the time to teach them. Everytime I see you post a photo of your sons’ projects I can’t help but imagine how it’s going to be when it’s my time to do Nate’s! hahaha. I think it’s exciting but the fact that you have to unlock your creativity level sounds scary for me too! Lol. I’m not artistic. How creative. You both really put an effort in it. And I love the result. It’s awesome. It’s a nice assignment. 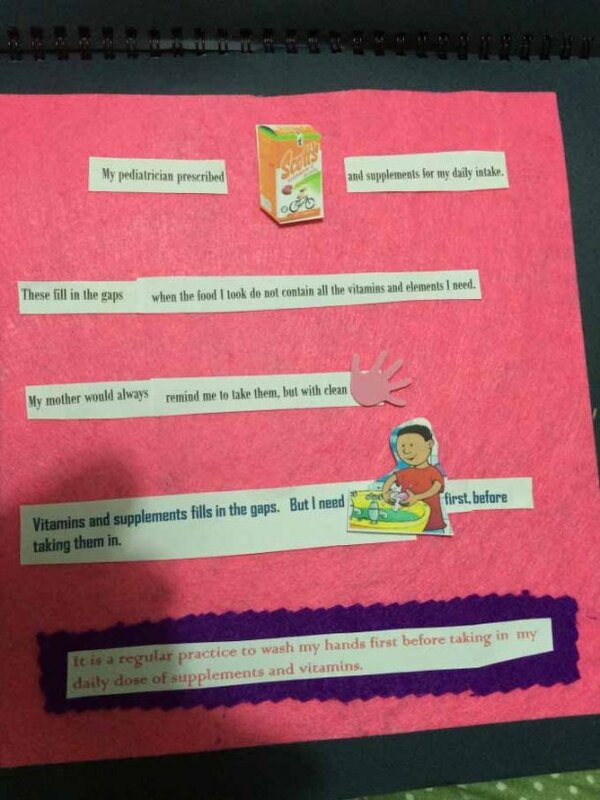 To make you aware of all healthy habits. But it also seems like much fun! Those school projects looks nostalgic to me. I remember the days when my mon help me do those. 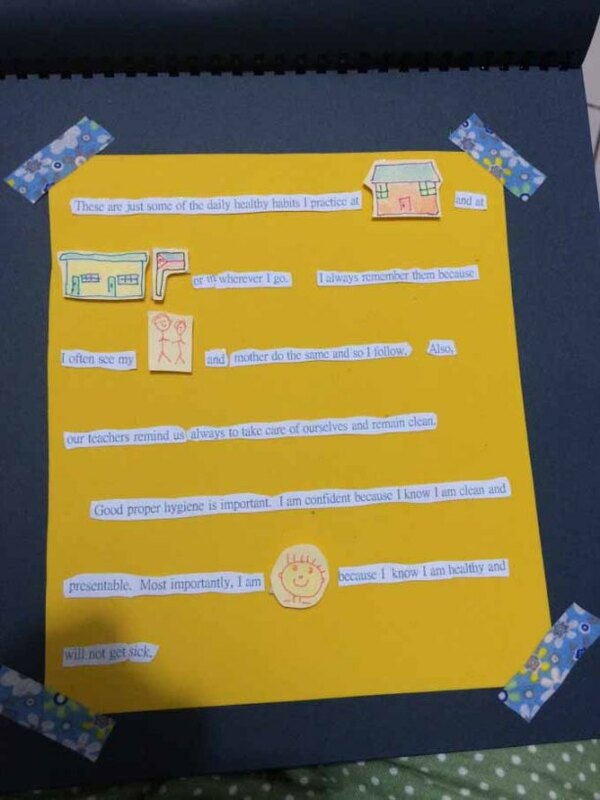 But most of the time I do my projects alone.. and sometimes, not.. so I would have to submit it before classes end for remedial, what a good boy am I.. I missed reading about your kids! 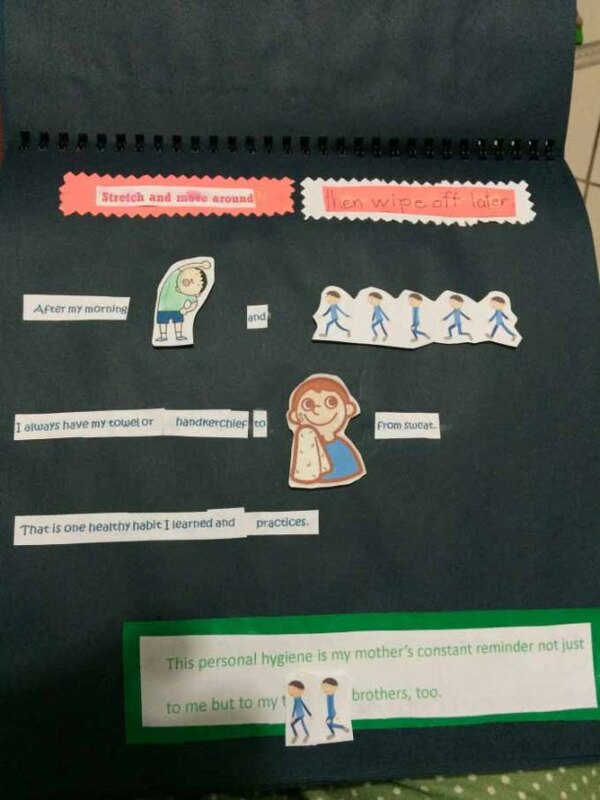 I think this is a very good idea of your son’s teacher. 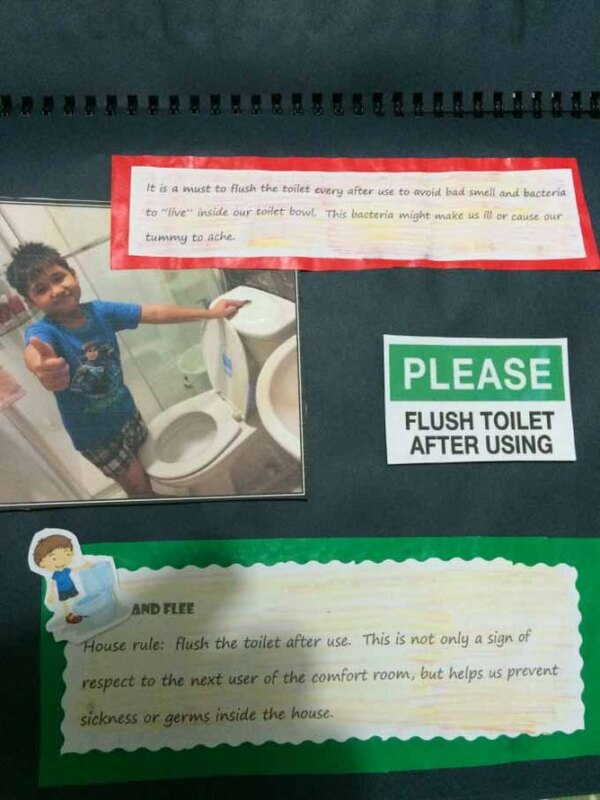 Children don’t always understand why hygiene is important. (Not to stereotype, but I think boys have a tougher time understanding than girls.) 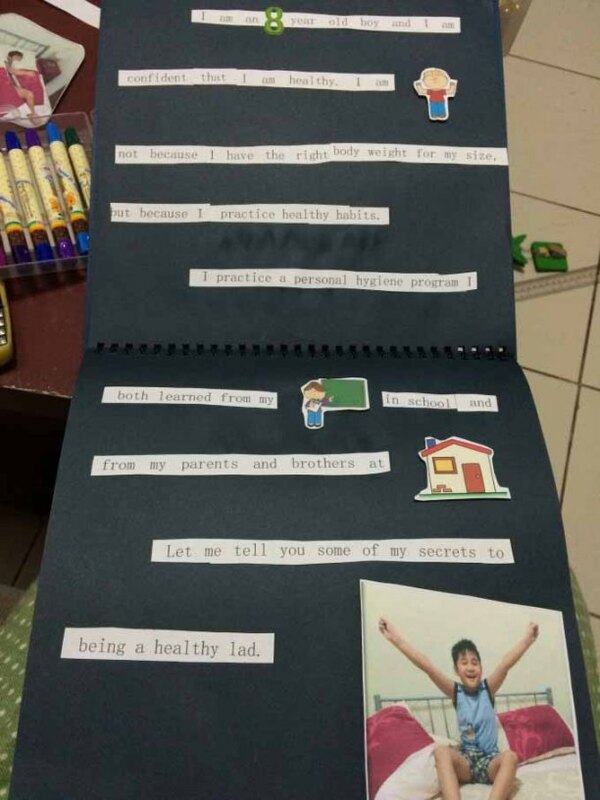 So now because your son made a book, he will be healthier and happier! Aaw. So cute! Can’t wait to do projects with my boy too. It must be fun. You are very creative, you know! Plus, you’ve got all covered with hygiene – from nails to face. I really find this kind of project ideas perfect. 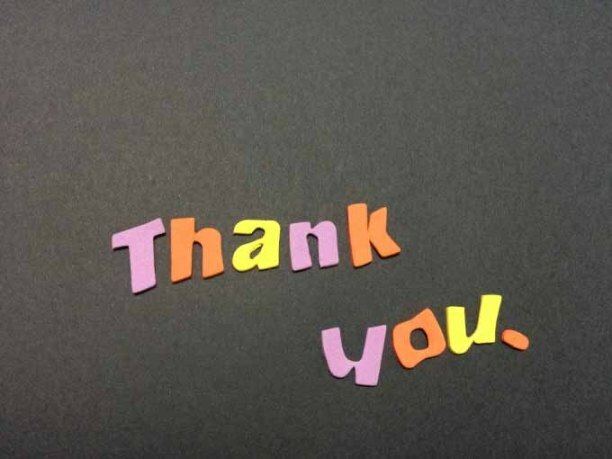 You know, these days, especially for working moms, helping kids on their project takes time. At least those who can easily access online can find ideas like this. 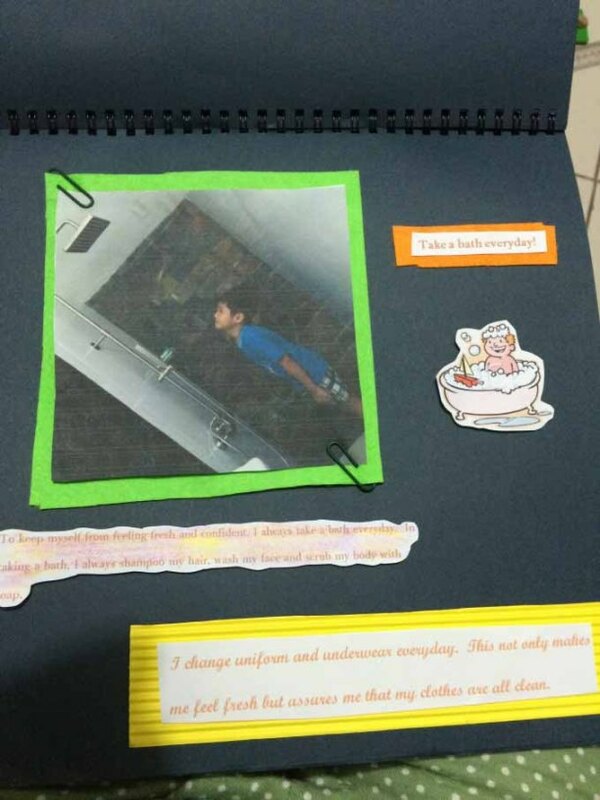 I love doing projects like this.. 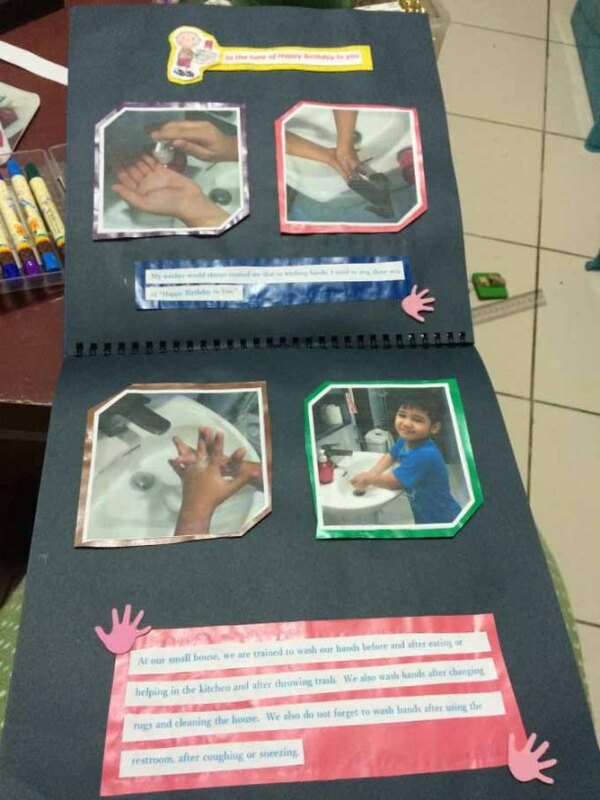 I used to help my little brother every time he has such homework.. even my nieces and my nephews used to approach me when they need help with their art or science project!